I don't remember exactly what the error was, but I had a very similar nondescript issue while building my cluster the first time. Net was - I blew it away and rebuilt it. I didn't get as far as clustering the 3 machines, so I am wondering if it had something to do with what you found. I agree - web client is sometimes pretty bad. I use it more than I should since I'm trying to leverage more cli and scripting. I had the same problem. I had to re-add the host to a vDS. In the host virtual switches list, there was a vds showing no uplinks... very strange because I use such vds to management traffic. So it appears to be a gui problem. If the vds had no uplinks, how I was acessing the host? Host wasnt in the vds related objects, but the host had such vds. So I re-added the host to the vds. I am getting same issue and my management traffic is going through vSwitch. I have VDS configured but I am using it for VSAN and vMotion traffic. Can you please help in such scenario. I am getting same issue but my management traffic is via vSwitch. 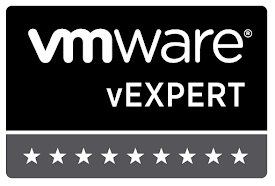 I am using VDS for VSAN and vMotion traffic.